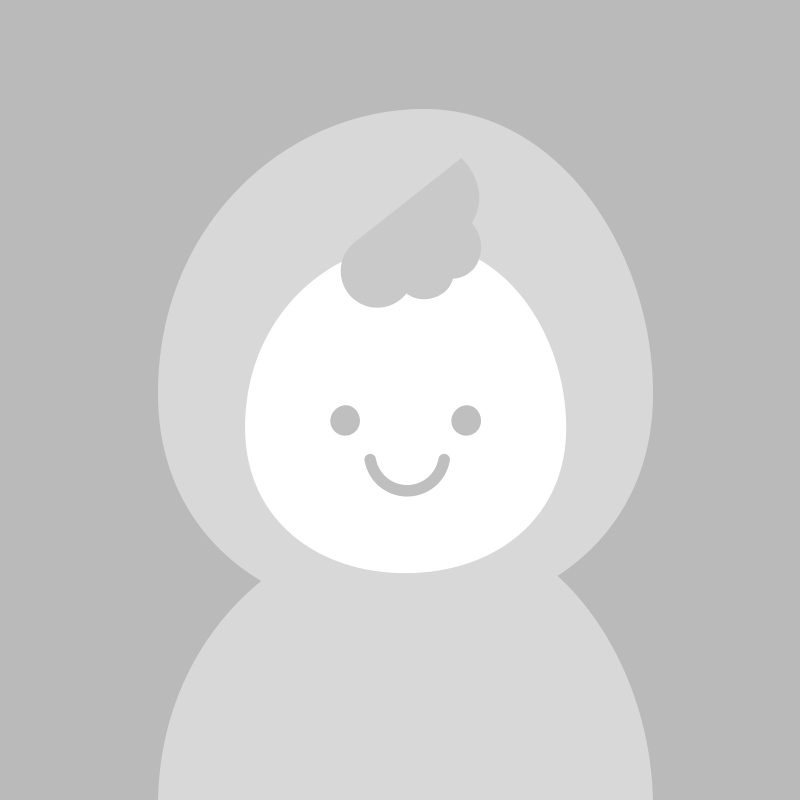 20th of November (China website and apps). 1. 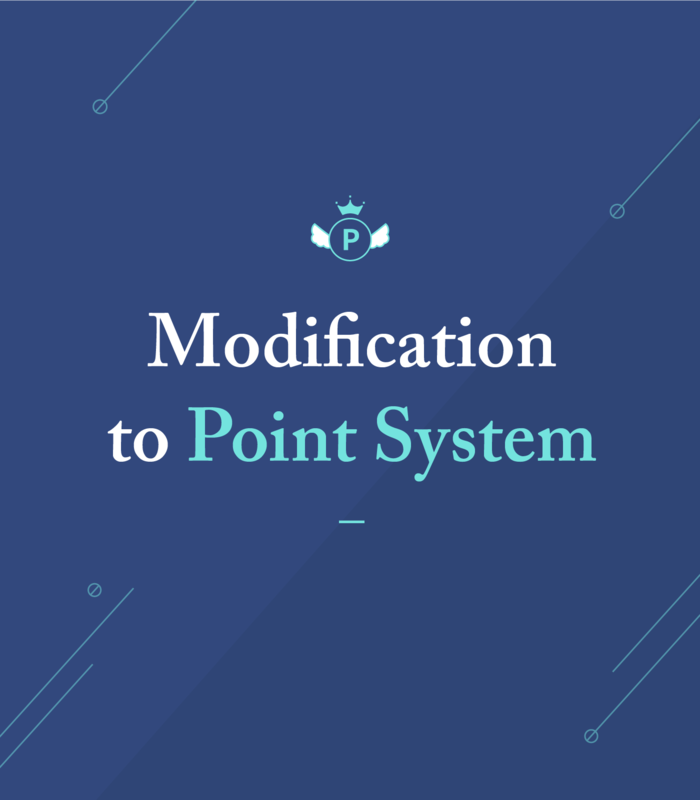 Lower limits for setting points will be implemented. In the new point system, you cannot lower the points below half of the recommended points. 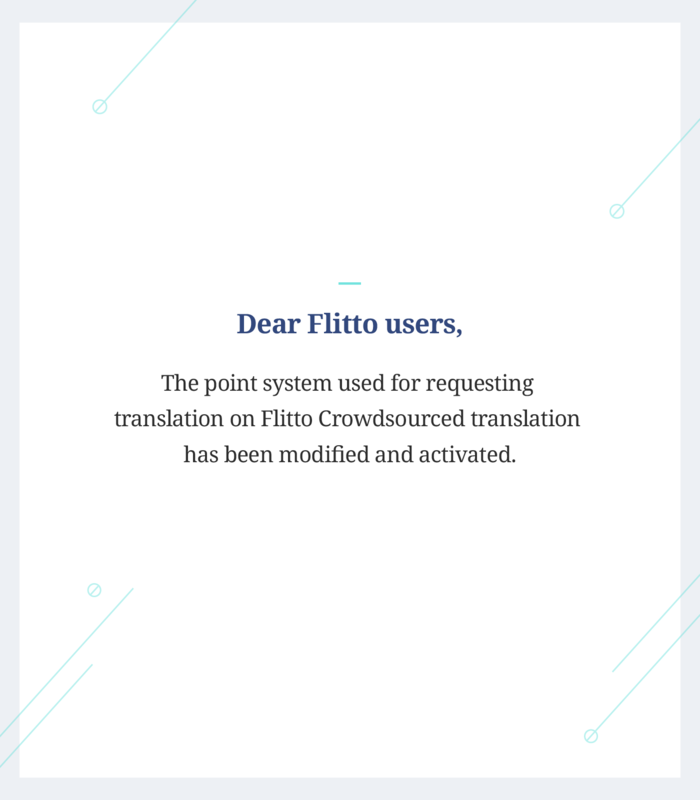 This is to allow the translators to receive more reasonable compensation. 2. 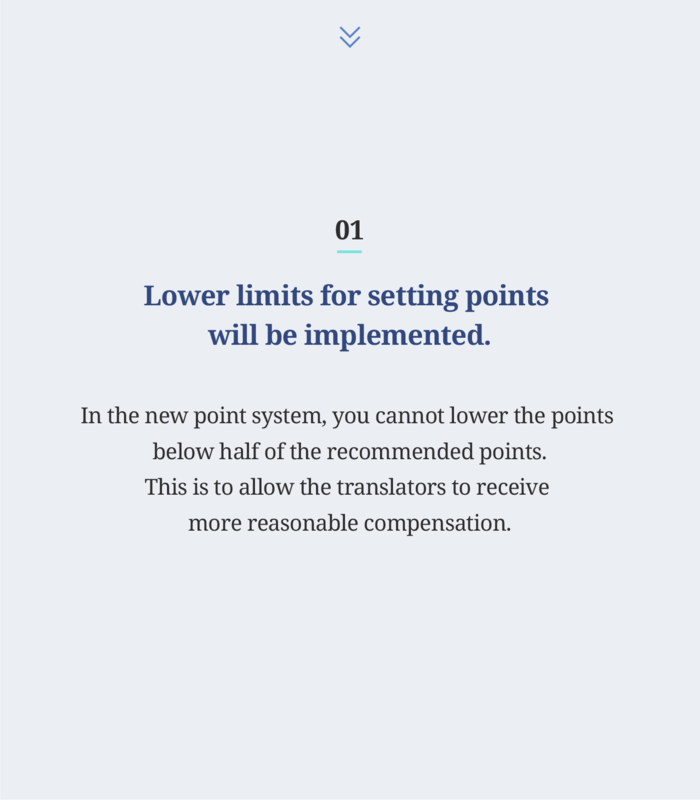 Recommended points will change depending on source language. 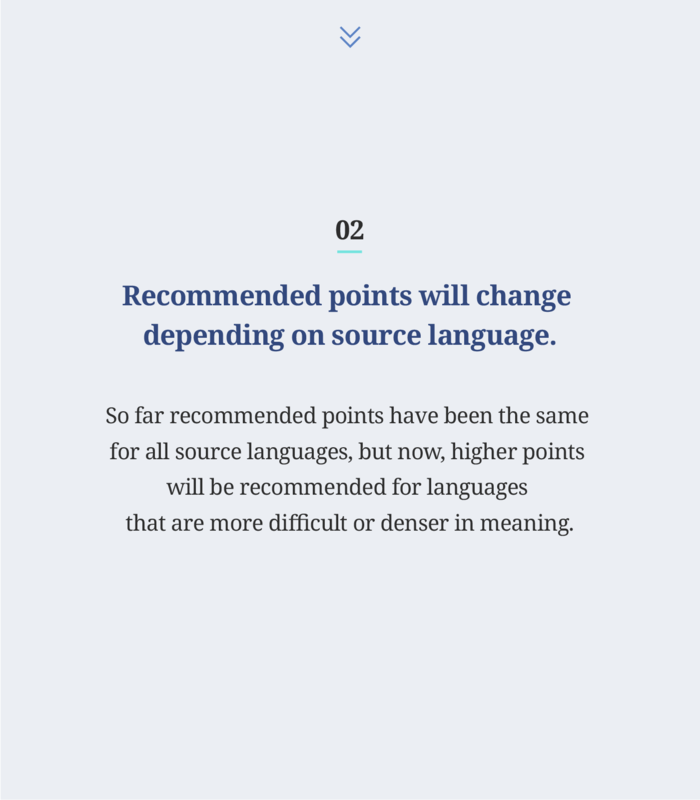 So far recommended points have been the same for all source languages, but now, higher points will be recommended for languages that are more difficult or denser in meaning. 3. 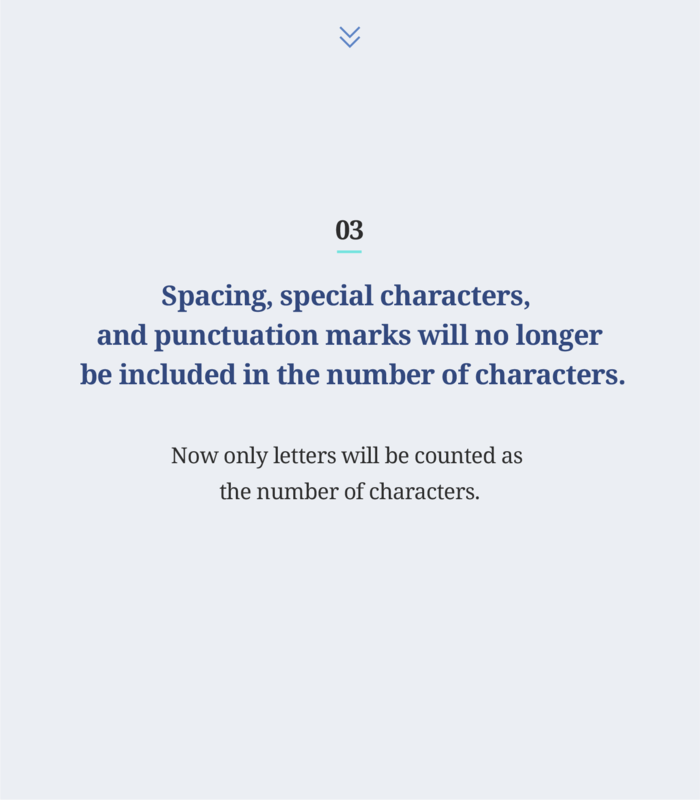 Spacing, special characters, and punctuation marks will no longer be included in the number of characters. Now only letters will be counted as the number of characters. 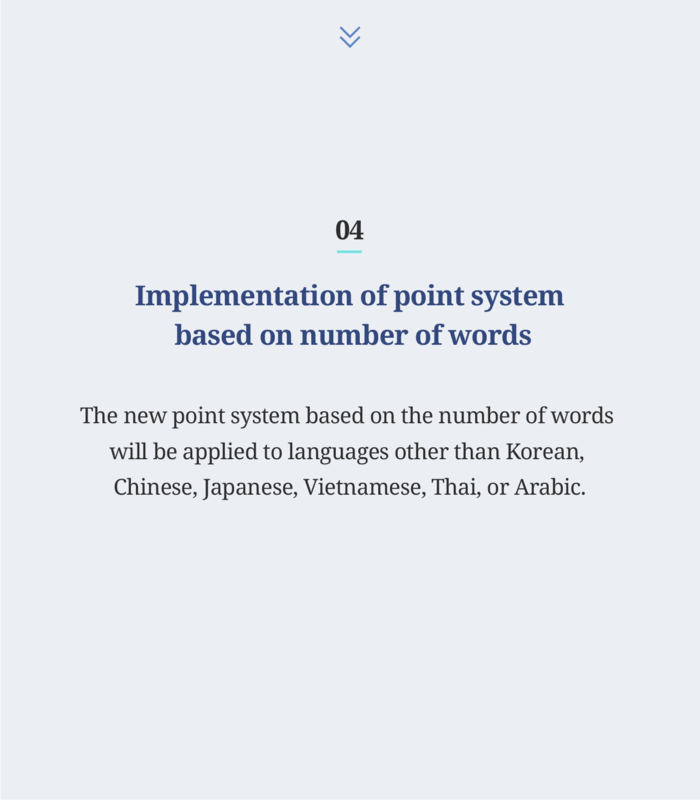 The new point system based on the number of words will be applied to languages other than Korean, Chinese, Japanese, Vietnamese, Thai, or Arabic. 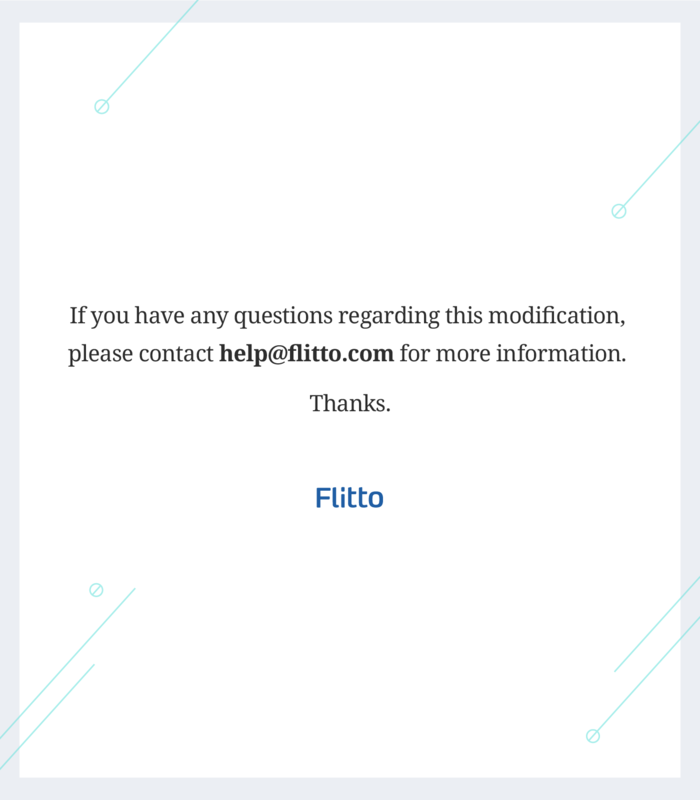 If you have any questions regarding this modification, please contact help@flitto.com for more information.